If you’re ever attempting to make the case that New York isn’t as fun as it used to be, just use the following post as an illustration. 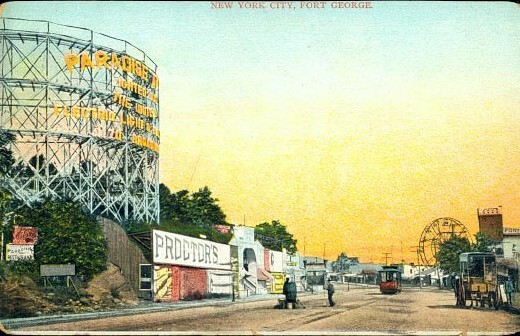 The New York City area was once home to dozens of roller coasters, set up at major amusement destinations around the city, in every borough. 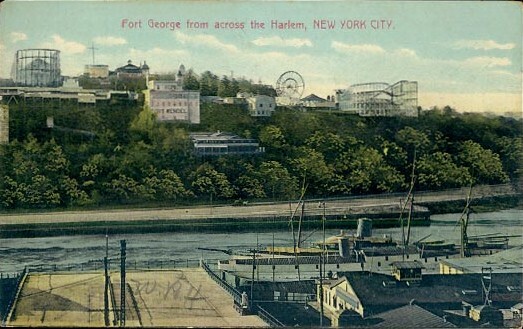 Even Manhattan! 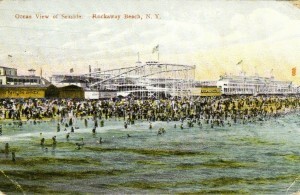 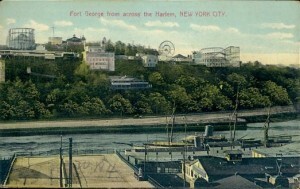 Coney Island’s Switchback Railway (1884) is often considered the first ‘real’ roller coaster. 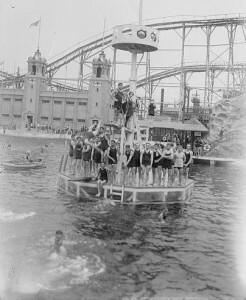 Not only was its size key to the stomach-churning thrill, but amusement parks soon relied on its proportions and sweeping shapes as a kind of branding backdrop, an immediate identifier as a destination of instant fun and relaxation. 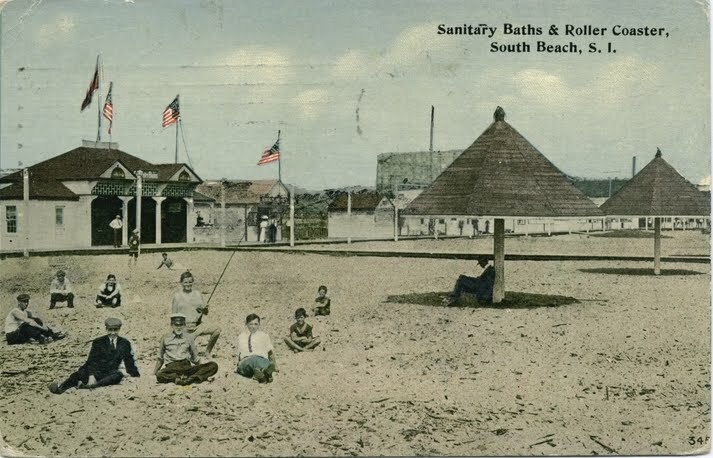 It was the first thing people saw as they approached the area; the cranking of the wheels and screams of its victims, heard from a mile away, set the rhythm for early 20th century beaches. Not only are all these roller coasters gone, but the resort districts that hosted them have been radically transformed. 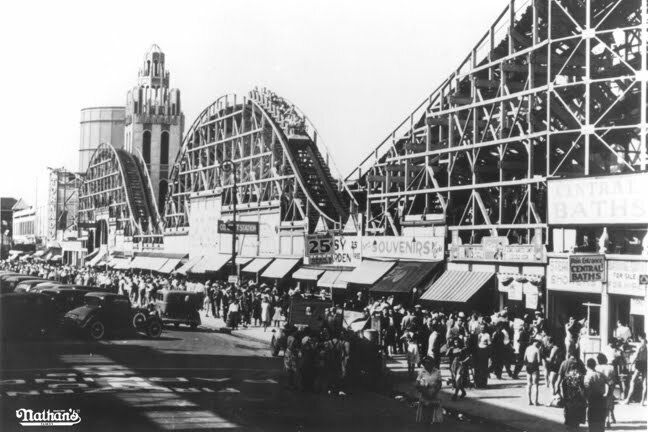 Only Coney Island — the home to America’s very first roller coasters — remains. 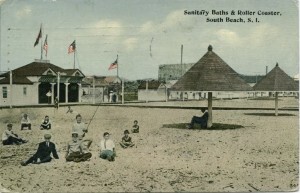 South Beach popular thrived around the same time as Coney Island’s did. 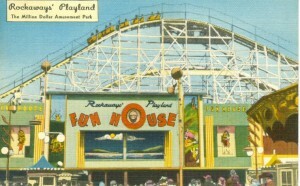 Likewise, its amusement parks (like Happyland) were similarly felled by fire. A ‘dollar’s worth of ride for just ten cents’, the Thriller (top picture) was a backbone of Rockaway’s early amusement industry, one of ten rollercoasters eventually built for the resort area. 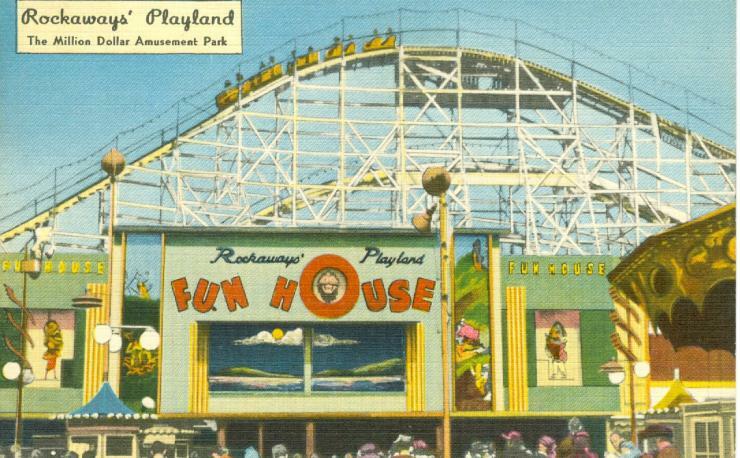 Perhaps Rockaway’s most famous rollercoaster was the Atom Smasher (at bottom), the anchor of Playland. 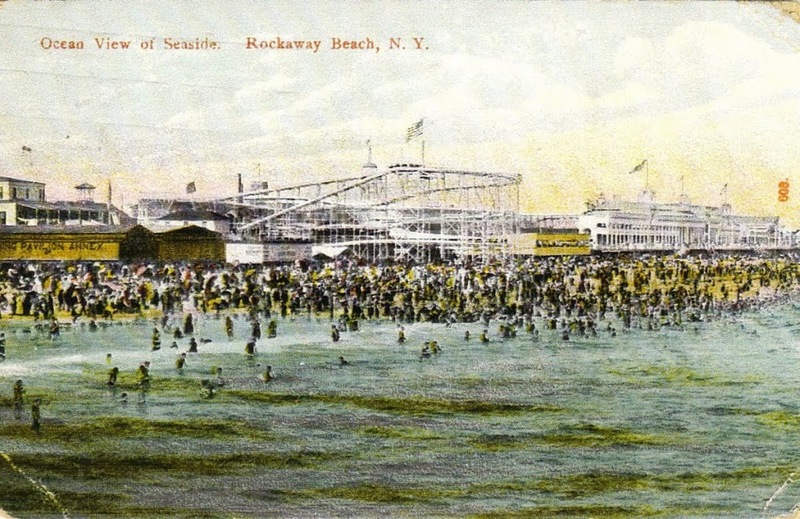 Rockaway lost all its amusements in the 1980s. 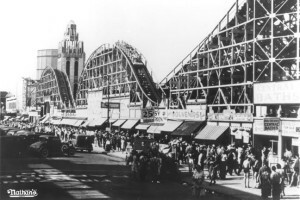 Brooklyn has had more rollercoasters than any other borough. 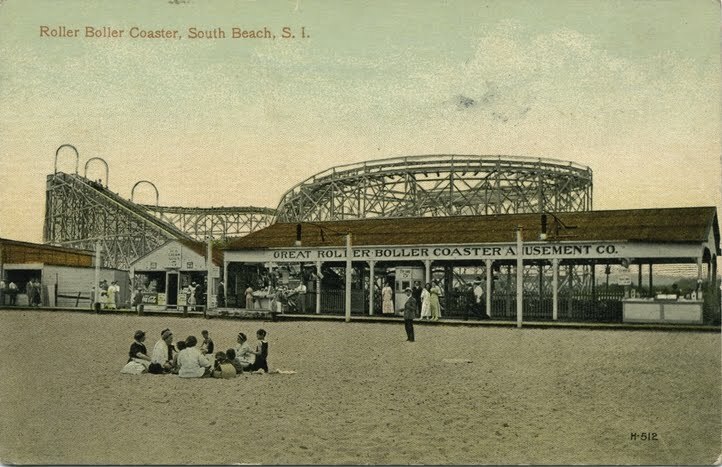 In fact, thanks to Coney Island, it’s had more coasters than most American states — 47 by the count of the Roller Coaster Database. 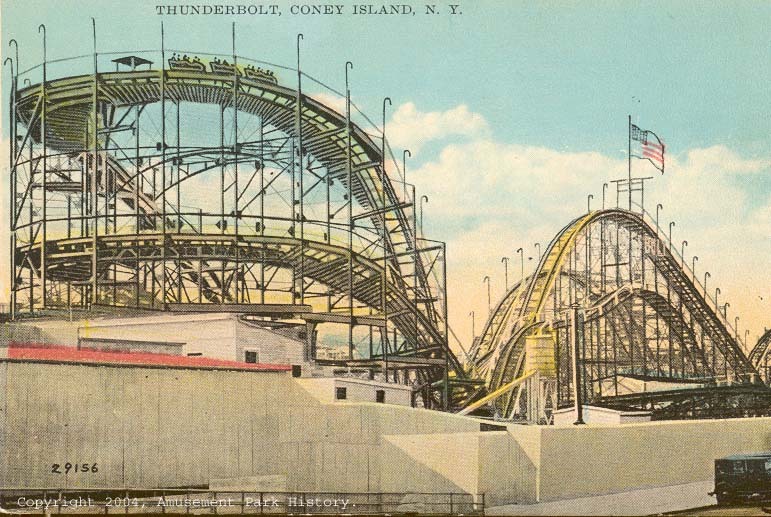 While the still-extant Cyclone is the granddaddy of them all, amusement lovers recall fondly the Thunderbolt , made famous in Woody Allen’s Annie Hall, which stood as a ruin for almost two decades. It outlasted its cousin the Tornado (at bottom), considered a marvel of engineering with its almost 3,000 feet of track undulating at a relatively low height.